The PowerMaxComplete is a wireless alarm control system that provides protection against burglary, fire and tampering. In addition, it can be used to control a light or an electrical appliance within your household and/or to monitor the activity of disabled or elderly people left at home. Status information is presented visually and verbally, and in most cases a recorded voice prompts you to take correct action. 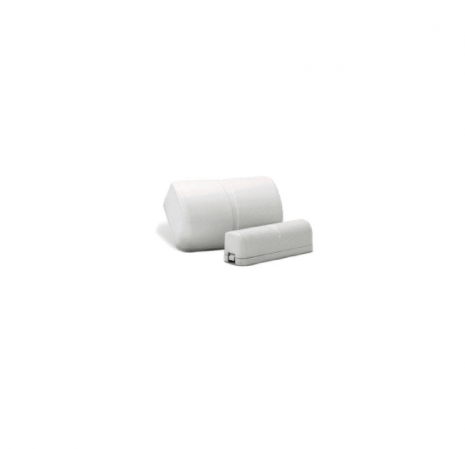 PowerMax Complete is specially designed for home and small offices.Events are automatically reported via PSTN (telephone line) or a GSM (mobile network using SIM card) communication to monitoring stations and/or to your preferred telephones. The person receiving the notification is expected to investigate the event and act accordingly. Sound and strobe lights to alert people. The PowerMaxComplete is governed by a control panel designed to collect data from various sensors that are strategically located within and along the perimeter of your home. In the armed state, the system will initiate an alarm upon detection of disturbance in any one of the armed zones. 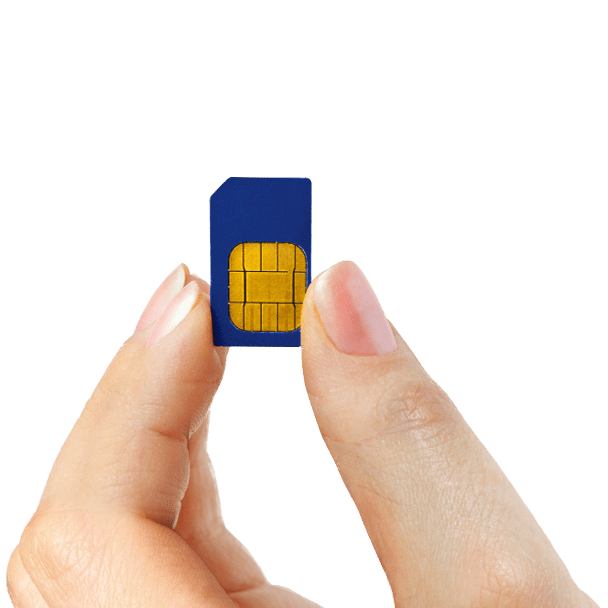 You will need a 4-digit security code to master the system, and you can authorize 7 other persons to use the system by providing them with their own security codes. 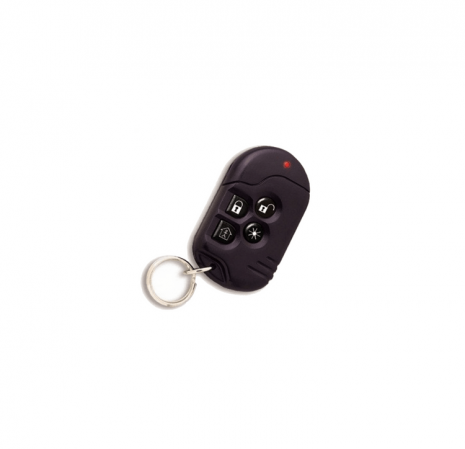 Moreover, you can obtain up to 8 multi-function keyring transmitters and proximity tags (to be used with Keypads, not included n the kit) that will allow you and other users to easily control major functions. Presenting valid proximity tag, while the system is armed (and when partitioning is set to disabled), causes the system to disarm. Presenting valid proximity tag, while the system is disarmed, causes the system to be armed in AWAY mode. 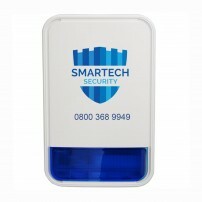 The system identifies a wide range of events - alarms, attempts to tamper with sensors and several types of trouble. PowerMaxComplete is a compact wireless home security system with built in PSTN dialer that connects your burglar alarm to the telephone line and a backlighted LCD keypad.It has a high power siren that sounds in case of alarm to deter intruders.A perfect solution for home owners who require high performance at a low cost. 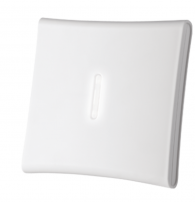 Visonic PowerMax PIR are pet friendly sensors to detect motion in the protected area. They are fully supervised wireless detectors with anti-collision PowerCode technology with 15m coverage. 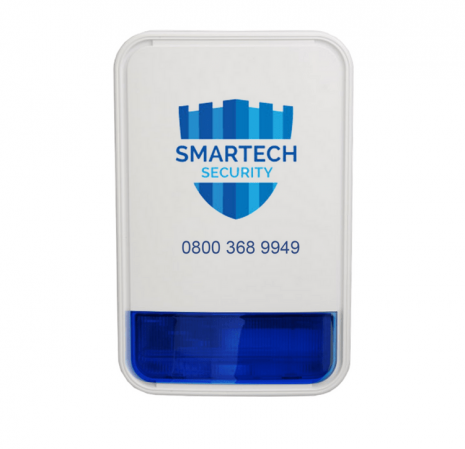 Magnetic Door Contacts are fully supervised magnetic contact transmitter, designed primarily for protecting your doors and windows to detect a burglary attempt . 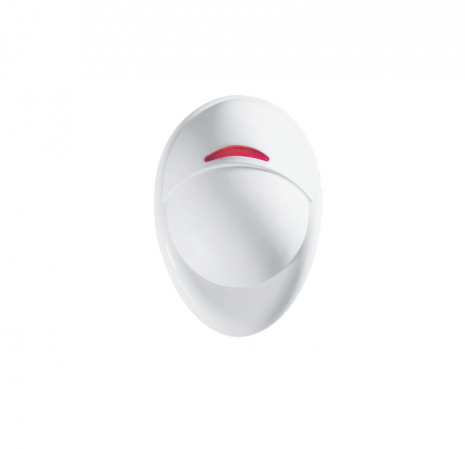 This wireless outdoor siren is 110dB Piezo siren with high-power strobe light and provides perfect security solution for home owners looking for an external siren that is both affordable and reliable. 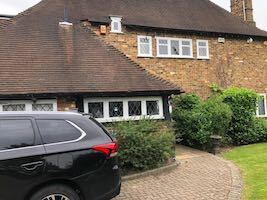 Visonic PowerMax Complete allows the security system to be connected via a mobile phone SIM card that enables your intruder alarm system to communicate over the GSM networks for system alerts. 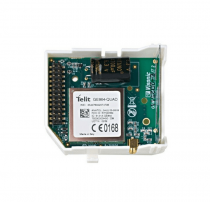 It can be used as the primary communication or as a back up for the IP (Internet) or PSTN (Telephone) communications in case of communication failure.You can enjoy peace of mind by receiving real time SMS, voice messages and email alerts using the GSM module. 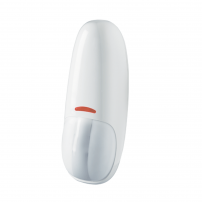 It also supports two-way voice communication between you and the security system. Add the smart phone App integration module to enjoy full control of your home security system directly from any location as you go about your day. You can conveniently arm and disarm your system ??? anytime, from any location using the VisonicGo smartphone app. 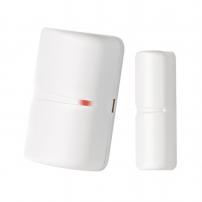 In the case of an event, receive real-time notification and check the status of the sensors to get the real picture of the security situation. Can the user codes be changed ? The user codes can be changed in the "User Settings" menu. It can be change by the master user or by installer from installer menu. How do I clear the [READY - MEMORY] message ? Display shows [SYSTEM JAMMED] what should I do ? This is an important feature as panels in a constant jamming mode can not hear other transmitters on the system which causes inactivity and testing problems. To fix this problem, check if there is anything around the panel that could be causing RF interferences, for example, baby monitor, WiFi transmitter, door bell etc. To eliminate anything within the home, if possible, turn off the main electricity supply. The system display shows [NOT READY] or [NOT READY - TROUBLE] what should I do ? 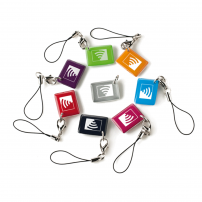 There is a fault outstanding, press the status button on any keyfob or press the [OK] button repeatedly and listen to each message. Any Alarm messages for example Hall Tamper Alarm can be ignored however, zone and tamper open messages need to be addressed i.e. Hall Tamper OPEN. What if the power of the security system goes off ? 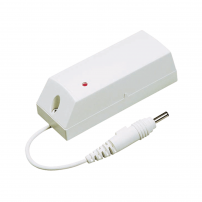 The alarm system has a back up rechargeable battery that will power the system until the electricity comes back on. The battery will last approximately 24 hours without electricity, depending on the system type and how old the battery is. When the electricity comes back on the system will recharge the battery. We recommend the battery be changed approximately every three years. How does monitoring work ? 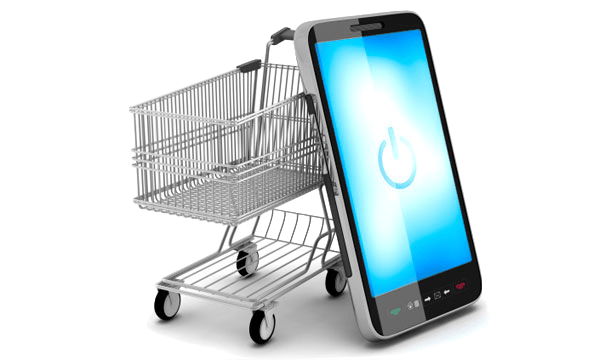 When one of the devices triggers and alarm, the security system seizes the phone line and sends a digital message to the central station or if self monitored then to your phone. If you have set off the alarm yourself, wait and the phone will ring, answer it and the operator will ask you for your password. When you give the proper password the alarm will be cancelled. 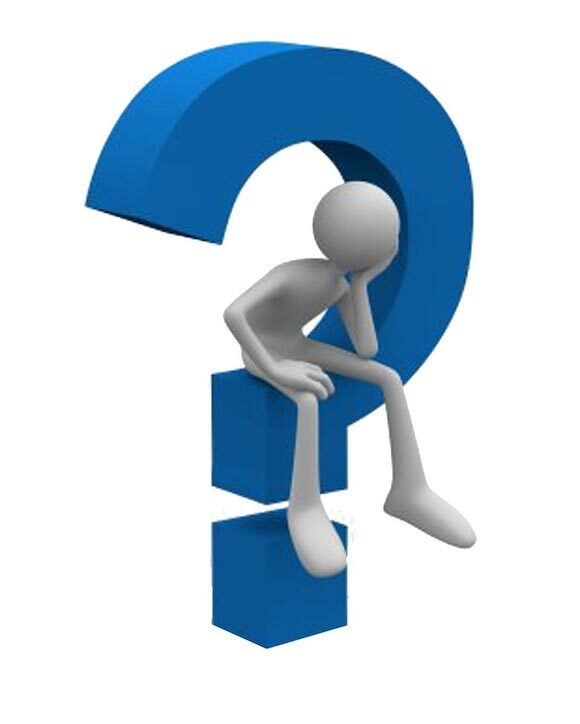 If I had a security system installed will it help my insurance rates ? Yes. 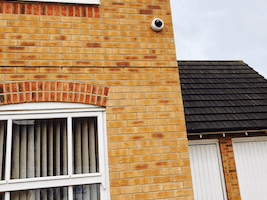 Almost every insurance provider offers some level of a discount when you have a monitored security system installed. 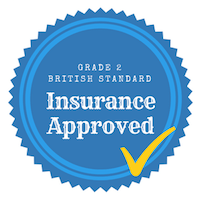 With monitored smoke detectors the insurance discount could be higher. 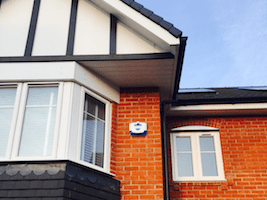 Can I have my alarm system even if I don't have a phone line installed in my home ? Yes. 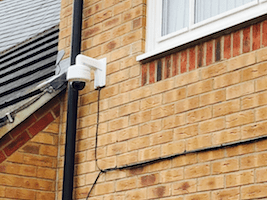 There have been many advancements in home security technology and today you can connect your system also trough GPRS or broadband IP communication modes so the system will be able to send alerts and alarm messages to the central station via these channels. 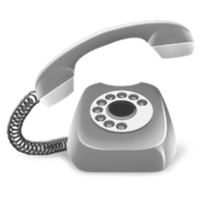 It also recommended to use one of these channels even if you do have a phone line - as a back up in case of line failures or intentional sabotage. 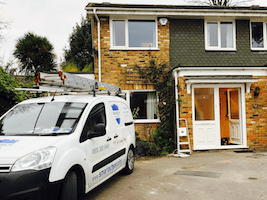 In addition, many companies offer cellular monitoring as it is by far one of the fastest and most reliable forms of alarm transmission today. What is a PIR ? 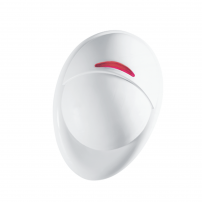 A passive infrared motion detector (PIR) is an electronic security device that detects intruders by sensing motion or body heat in the area being protected. Most PIRs are designed to be used when your family is away from the home or when no one will be passing through the area covered by the PIR. I have a dog. Does that mean I can't install a PIR ? 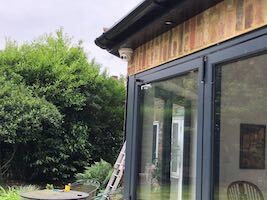 Smartech security can provide you with pet immune motion detectors, which allows dog and cat lovers to enjoy the same level of protection they would receive with a standard PIR. How do the Glass-break detectors work ? Acoustic glass-break detectors usually mounted on ceilings and walls, work by listening for the sound of breaking glass in a window. 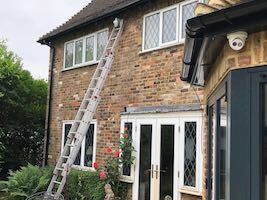 This kind of advanced wireless or hardwired technology can provide shatter and shock protection for your windows, so often intruders are sensed and the alarm sounded before they are able to gain access to your home. I already have battery operated smoke detectors in my home, so why would I need one installed also with the security system ? 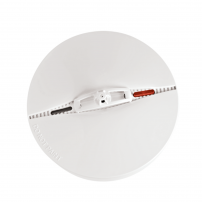 The battery operated smoke detectors are stand alone devices that will alarm when smoke is detected. 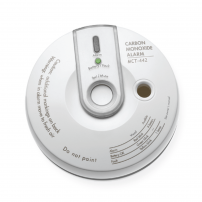 However, a wireless smoke detector connected and supervised by a security system, immediately sends an alarm also to the central station or to you and helps when the family members are sleeping while the fire starts. That way, if you do have a fire, the central station will notifies your fire department instantaneously, saving valuable time to prevent loss of property and/or lives. What is the difference between a control panel and a keypad ? The term "control panel" refers to the brain of the home security system. Whether this is a full panel with LCD and keypad or just the circuit board covered with plastics, the control panel is the component that supervises all the devices and sends the central station the alarms when triggered. A keypad, however, is a peripheral device that connected to the control panel. It is a user interface that allows you to arming and disarm or control some of the system functions and programming. 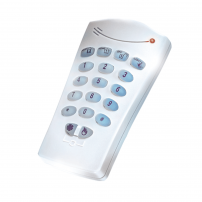 In addition, the keypad provides a constant display of system status information. 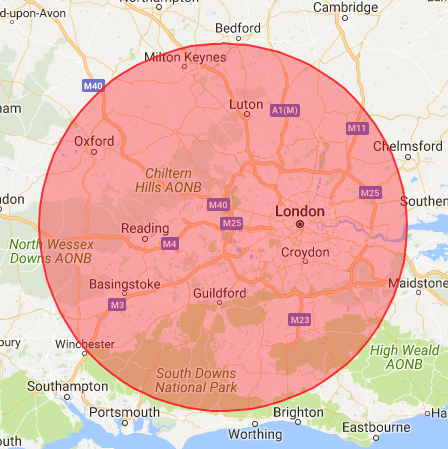 What is a Zone ? 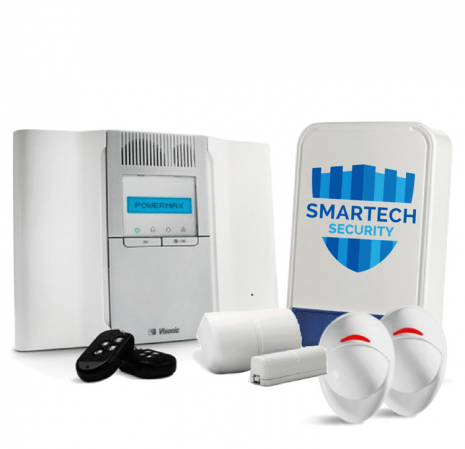 During you home alarm system installation it is divided to separate independent areas of protection based on function. 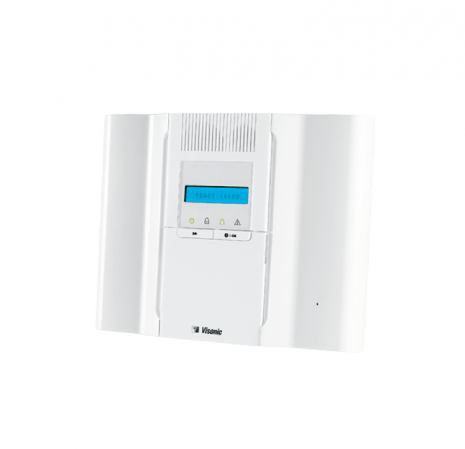 Those functions might include indoor intrusion, outdoor intrusion, fire, medical, panic, or critical condition monitoring.These areas are Zones and each of them can be activated or deactivated separately from other areas. 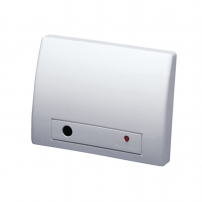 This means that activity can occur in one zone without activating the alarm in other zones.